Every time I get an opportunity to look at the LeapFrog products, this company just doesn’t disappoint and the LeapFrog LeapPad Ultra Tablet is no exception. The LeapFrog Ultra Tablet offers everything a parent would want for their kids. This tablet is designed for children in an age range of four to nine years old. Younger children should not use it due to its complexity. While the LeapPad Ultra typically doesn’t help children over the age of nine learn much new information. There are also small parts listed with this device that should be kept away from young children that would put them in their mouth. The cost of the LeapFrog LeapPad Ultra Tablet is a big part of the 4.25 rating. Most kids tablet devices are within $100, but you’ll have to chunk out about $149.99 for this toy. This is a high price to pay for a device that can easily be broken by a child, although the features that come with it are worth the cost if the device is well taken care of. The LeapPad Ultra was designed with kids in mind, so it was made quite durable out of thick plastic. The device also weighs 2.6 pounds, meaning that it will be hard for a child to just toss around. Despite that, the device is easy to drop and can be damaged that way, so it’s suggested that parents keep it in a safe place only to be taken out upon use. If you are really looking for protection and safety, you have the option of purchasing a carrying case or a gel skin that will provide an additional layer of protection for the daily bumps a child can shell out. The LeapFrog LeapPad Ultra Tablet does come with a 12 month warranty. If the device breaks or malfunctions, you can use the limited warranty to partially replace the device. This means that the manufacturer will pay a part of the repair costs, and won’t cover any devices that have been lost or stolen. With this in mind, be sure to keep your device safe, especially after the 12 month period has ended. Today I called LeapFrog’s customer service center in order to clarify the difference between the LeapFrog Ultra tablet and The LeapFrog Ultra XDi. Calling in was pretty simple, the options were easy to understand and I waited on hold about five minutes. The time I was on hold, there was a recording giving tips for password resets and other common, easily fixed problems. If I had called for one of these issues, I most likely wouldn’t have had to speak to a representative and that is pretty handy for us busy parents. To find out what I learned about the differences on these tablets, click here for LeapFrog LeapPad Ultra Tablet vs LeapFrog Ultra Xdi differences and similarities. With a built in lithium ion battery, the battery life of the LeapFrog LeapPad Ultra Tablet usually lasts around eight to nine hours fresh out of the box. However this does decay a bit within a couple months of use. It should also be noted that having the WiFi turned on will drain the battery even faster, although WiFi access isn’t necessary with this device since it comes packed with apps for your child. The LeapFrog LeapPad Ultra Tablet comes with parental controls to allow you to block certain apps, password protect purchases, and even turn off WiFi access of the device. Being made for kids, the LeapPad Ultra is very easy and simple to use, and even includes voice instructions to help them figure things out. The whole device is designed around education. Almost all of the apps are designed as learning games. These will teach your children math, spelling, problem solving, and much more! The LeapFrog Ultra Tablet even won the 2014 Toy of the Year award. Since there are so many apps, this device will keep your kids entertained and educated for quite some time. Did I mention that out of the box, the LeapFrog Ultra comes standard with 11 apps. Within a couple of years they may outgrow it, but it will take awhile. You can always choose to add new apps if they get bored of the current ones. Kids will have a lot of fun with the front and back 2MP camera and the 480p video camera. The LeapFrog LeapPad Ultra Tablet comes with 8GB of memory, which is double the amount included with other LeapPad devices. This should be more than enough for your child, as it is highly unlikely they will ever hit this limit. The 7 inch screen quality is superb, full of color and easy on the eyes with 1024×600 resolution. There really isn’t anything to complain about when it comes to the power and speed of the LeapPad Ultra, as it runs smoothly and swiftly with the 800 MHz processor. 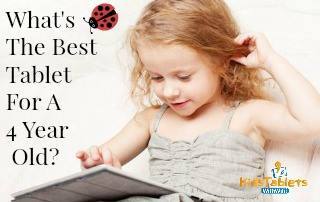 The LeapFrog LeapPad Ultra Tablet comes in either green or pink, depending on your child’s choice. You can also choose to purchase equipment for it, such as headphones or cases. Does this Leapfrog Ultra Tablet Offer Kid Perfect Fun? Well, all in all the LeapPad Ultra will provide your child with a durable device, the ability to draw, listen to music on the built in MP3 player, peer to peer play, provides safe online access, get e-books, play with the camera and video options along with access to Leapfrog’s library of apps, games and ebooks. This sounds pretty good, eh? Is this LeapFrog LeapPad Ultra Tablet a little stretch for your budget? 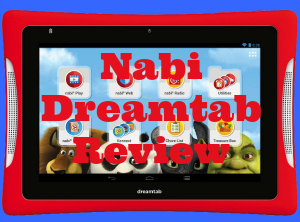 If so, I would recommend you look here at the Vtech Innotab 3s review. Summary : While the LeapFrog LeapPad Ultra Tablet is a little on the pricey side, it comes with the top toy of the year award as well as support from educators all over the country. It's educational value alone puts it at the top of the heap as one of the best tablets for kids currently on the market. With its child friendly browser and parent approved videos, it will provide hours of entertainment for your younger children. Many thanks for the post/review. You’re very welcome. I hope it helped you out some. If you have any other questions, please don’t hesitate to reach out.